When the myriad summer dwellers depart and we hunker down with our closest year-round neighbors, chorus-mates, family or occasional visitors, life is quiet and satisfying on the Island, offering valued time for work. But this winter the cold settled in my bones, and so with no poetry in my head I accepted invitations to the warmer West and South from Vineyard summer pals doing important, intriguing work. I left home on Jan. 25 and did not return until March, invigorated as a seasoned gypsy. I started at Utah’s Sundance Film Festival where my first experience was the new documentary on Mike Wallace’s career as a television journalist. I sat with his daughter Pauline Dora and talked with his son, Chris Wallace. We concluded a follow-up film on Mike’s Vineyard Haven good times was needed. Next was a fine documentary titled The Great Hack, about Cambridge Analytica and its feeding Facebook, produced by Geralyn Dreyfous, a regular guest at Jim and Susan Swartz’s home in Edgartown. Geralyn had won an Oscar for the documentary Born Into Brothels. She and the Swartzes claimed another for Icarus last year. During lunchtime, I went to Susan’s gallery (enhanced by walls displaying her beautiful paintings). Maria Cole appeared. A big screen was set up for an unfinished film tentatively titled Gun Neutral. It was presented by Parkland kids, speaking and playing their original music. One, Samantha Fuentes, an aspiring writer who had been shot and recovered, will visit this summer. From Utah, I flew to Los Angeles, spent a night with Menemsha favorite friends Geoff Cowan and Aileen Adams, then drove with them to Palm Springs for the Rancho Mirage Writers’ Festival. While attending last year, I had applauded Ric Patterson and Linda Fairstein, of Chilmark fame, and Amor Towles of West Chop, as they talked about their new books, and Alexandra Fuller, who annualy visits Michael and Jane Horvitz in Edgartown. This year I renewed my friendship with Paul Theroux (On the Plain of Snakes: A Mexican Journey). Paul used to paddle his Pacific canoe to our dock from the Cape. He and my husband talked intimately there, then at hospitals during Bill’s late stays. Next I headed to San Francisco to Mathea Falco and Peter Tarnoff’s. When Peter led the Council on Foreign Relations, I traveled with their family to Southeast Asia. Mathea, on-Island in September, was preparing to go to Myanmar again. She ran George Soros’ Drug Initiative for years there. She and her son, writer Ben Tarnoff, befriended Aung San Suu Kyi whom I met with them in Dublin when Suu Kyi was presented (at Bono’s concert) with our Amnesty International Ambassador of Conscience Award her first week out of Myanmar. She was elected to lead Parliament so was released from years of house arrest. What will Mathea discover this time? Suu Kyi has been silent on the military’s brutal treatment of the Rohingya. Then in Santa Cruz I stayed with Jack and Corda Zajac, visitors to Chez Styron for 20 years. In the 1950’s they were Bill’s and my pals at the American Academy in Rome, where Bill held the first novelist Prix de Rome. We married there. Jack’s monumental bronze of a swan’s wing and wake gleams in the entrance to our home. Corda’s painting shines above the kitchen table. In San Francisco I spent time with Tyler Brandon, and two days at Brian and Tara Meehan’s lively home on Belvedere Island. From there I was whisked to a town called Winters by Craig McNamara and toured in his open truck his vast landscaped acres of olive and walnut trees. Inside Craig’s walnut factory I marveled at machines and workers who doubtless prepare Craig’s annual tasty Christmas gifts. Back in Los Angeles, I was treated to a special lunch by Laurie David, a dinner with grandson Tavish back from China, beach time with daughter Susanna’s film colleagues Bridget and Julie whose tales of Vineyard visits made me laugh aloud, and a first book tour party for Vicki Riskin. A cozy stay at Miles and Nancy Rubin’s was most rewarding. My close friendship with Nancy dates back to Amnesty, 1980, before she became a United Nations ambassador, before renting during summers on the Vineyard. I arrived in time for the launch of her impressive national Suicide Foundation. Later in San Diego, the highlight was my sailor grandson Tommy’s regatta, plus my detour to the incredible zoo. My last stop was New York city. At daughter Susanna’s Writers’ Guild Initiative dinner I sat with Jamie and Alexander Bernstein. Their father Leonard introduced them to ongoing Vineyard summers in the 1960’s. The Styrons, Bernsteins and Mike Nichols played word games incessantly then. In 2018, Jamie read entertainingly at Bunch of Grapes from her book Famous Father Girl. Now we were a rapt audience for Brooke Adams and Tony Shalhoub’s readings of the best stories by survivors of military and immigration nightmares, written in the guild’s healing workshops. A final event was the Paris Review Revel. It sparked memories of George Plimpton’s Island fireworks celebrations, among them Mike Wallace’s birthday, Alexandra Styron’s wedding and John Marquand’s unsanctioned picnic when planes launched by Otis Air Force Base zoomed overhead. Alarmed perhaps by the new film The Russians are Coming, George fled. Hooray for our Connecting Island! Does anyone remember Art Buchwald’s 1966 spoof for the Vineyard Gazette advocating a bridge to the mainland? How we laughed at his hate mail. Art and Mike Wallace and Bill Styron are buried near each other in the West Chop Cemetery. Are they happy underground as Art predicted they would be when he convinced his two other Blues Brothers (of the traveling anti-depression trio) to buy new plots there, and keep talking, and thus stay connected forever? I’m home again. Quieter. Writing on our porch. Rereading Mary Oliver and W.S. Merwin. Sunblessed. Inhaling Vineyard air and the music of spring. 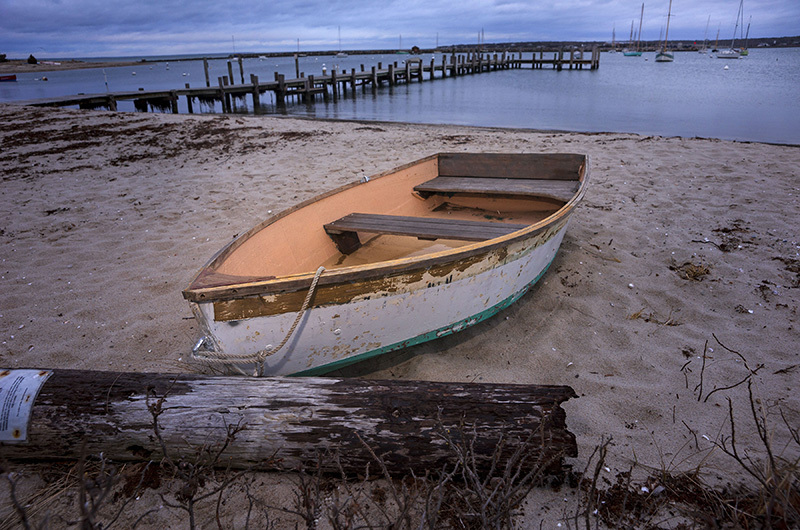 Rose Styron lives in Vineyard Haven. Oh how I miss the Vineyard, especially Chilmark and Up-Island. Many thanks for an interesting travelogue, but what I most got out of reading it was your love for the island, and how happy you are to be back! Thank you for this. It seems like a letter from a saner time. It made me smile a smile that is staying around. Enjoy the springtime Vinyard sun.